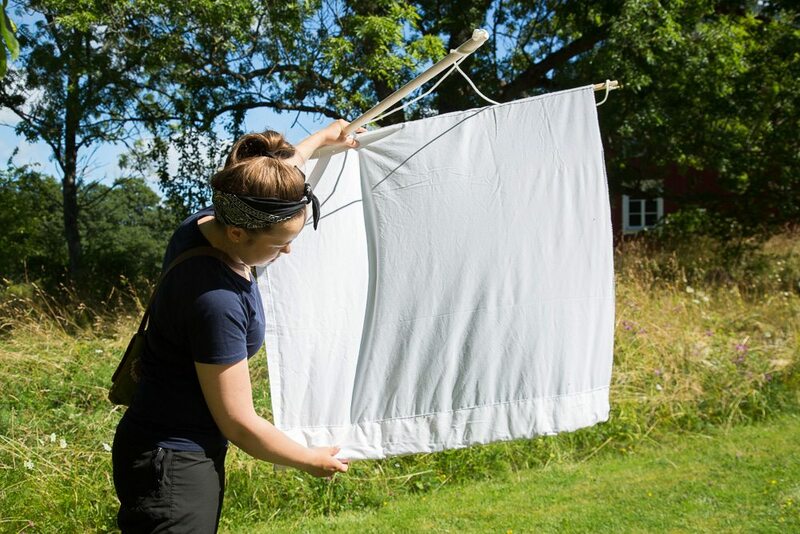 Last week, the mainstream media in Finland and abroad (e.g., here and here) reported of a research, published in the journal Plos One, where three-quarters of flying insects in nature reserves across Germany were observed to have vanished in 27 years. The results are alarming as insects are an integral part of life on Earth as both pollinators and prey for other wildlife. Thus, the scale of the losses to all insects will have profound impacts on human society. After reading the article, in addition to the consequences of these results, I started to think about long-term environmental monitoring and its significance. Monitoring programs are often criticized as “costing too much while delivering too little” and most funding is granted to short-term research projects. So, what is so important about environmental monitoring? How do we benefit from these long data sets? 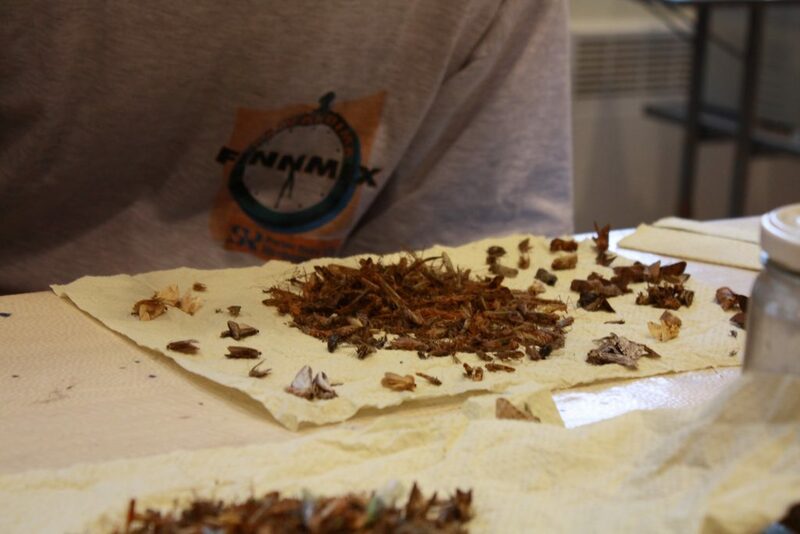 Field course students examining insect samples, collected in Seili. 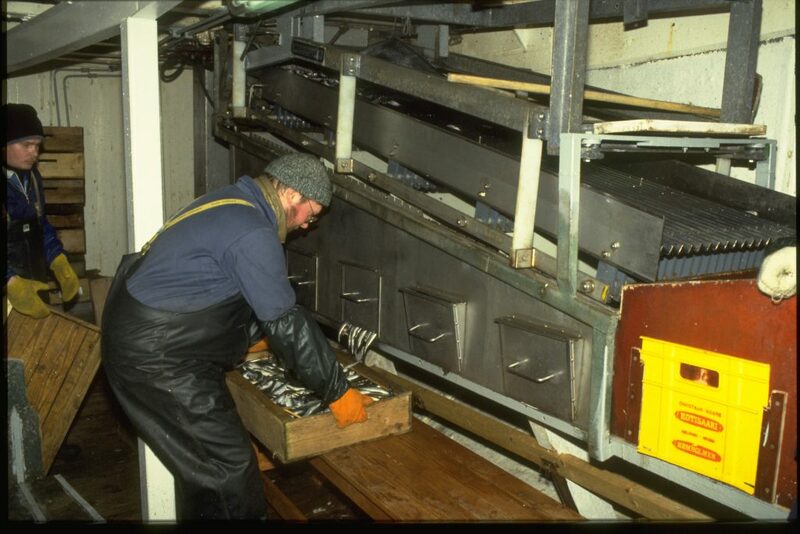 In the back of the photo is a Malaise-trap similar to the ones used in the German study. Photo from ARI’s archive. Environmental monitoring can be described as a programme of recurring, systematic studies that reveals the state of the environment and separates anthropocentric effects from natural processes. Monitoring can be conducted for a number of purposes, for example to establish environmental baselines or identify trends. Environmental monitoring programs also vary significantly in the scale of their spatial and temporal boundaries, and scope. Ecosystems in general require long-term monitoring because they are complex and sensitive, and most key changes in the environment take place over prolonged periods.  In zooplankton research, even a 20-year-long data set is sometimes not considered long enough to reveal underlying trends. Decades worth of data contain a lot of sample bottles. 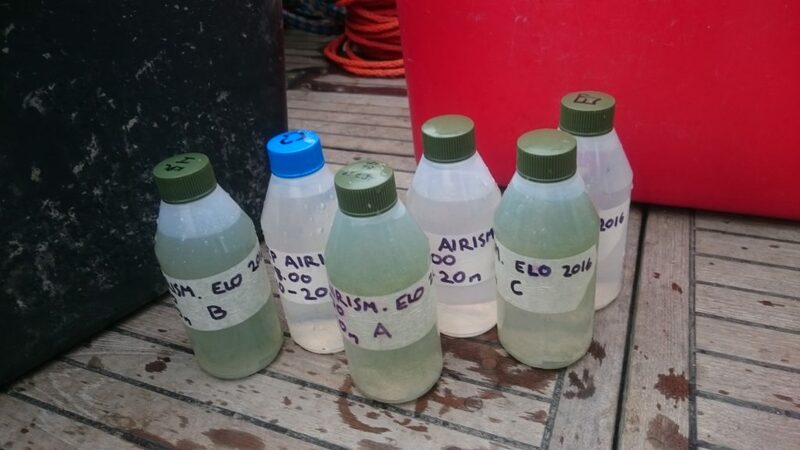 In the photo are some monitoring zooplankton samples, collected from the Airisto Inlet, Archipelago Sea. Photo from ARI’s archive. The participation by amateur naturalists and other collaborators can be invaluable to the monitoring program because of funding shortfalls and the large amount of work that goes into the collection and analysis of samples. For example, the data used in the German study, was largely collected and analyzed by amateur entomologists (Krefeld Entomological Society). Environmental monitoring is a central part of many field station’s work. The location, infrastructure and trained staff make it possible to sample year round. In Seili, the abundance of ticks have been monitored since 2012. The aim is to eventually have a long time series of tick abundances. Photo by Esko Keski-Oja. 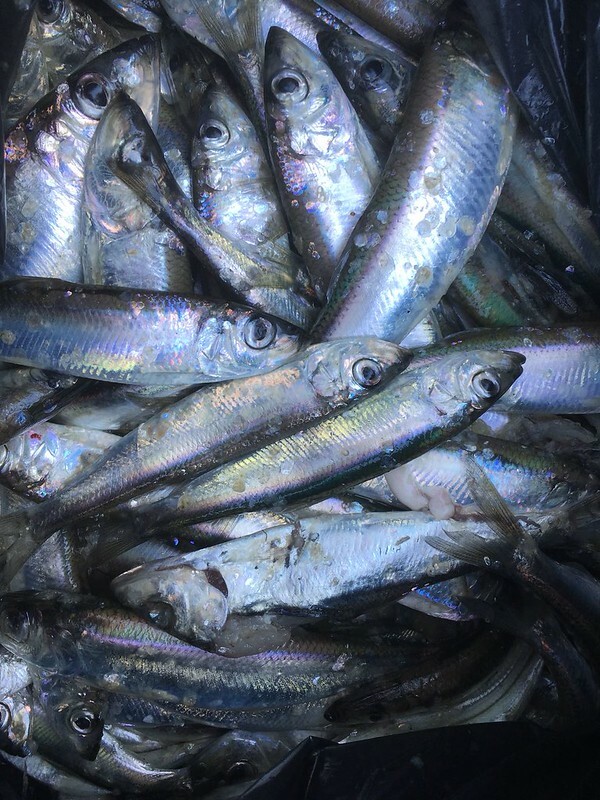 The condition of the spawning herring population has been monitored in Seili for over 30 years and this cooperative effort has resulted in data sets that are unique in even in the Baltic Sea scale. 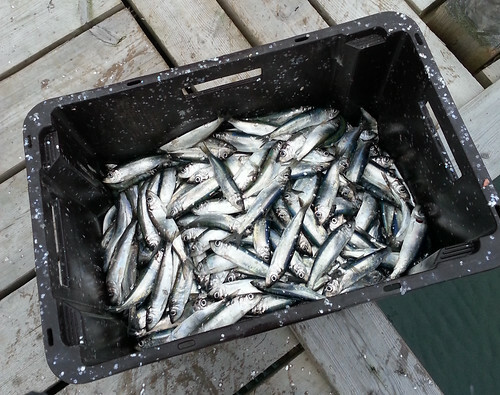 Local fishermen have been an important part of this project as without their help, the collection of fish samples would have been difficult. Photo by Juha Kääriä. What is good quality monitoring? For one, systematic sampling is key in order to get trustworthy and comparable results, and neglecting this step might make the whole data series completely useless. In the German study, this meant for example that the size, shape,color, location and placement of the trap had to be similar in each of the 63 sampling locations. Also, the way the insects were preserved, handled and analysed had to be the same. Thus, quality assurance certainly isn’t easy, and systematic work is required in each step of the way as more often than not, several people participate in the collection and handling of the time series. Systematic sampling is key in environmental monitoring in order to get trustworthy and comparable results. 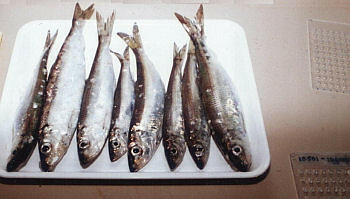 In the photo, the species composition from a sample, collected with a light trap in Seili, is under analysis. Photo by Katja Mäkinen. Monitoring programs are often criticized as “costing too much while delivering too little” and the lack of funding has often forced officials to curtail monitoring and data collection. However, environmental monitoring serves a vital scientific role by revealing long-term trends that can lead to new knowledge and understanding. For example, Charles David Keeling’s long-term measurements of atmospheric carbon dioxide at Mauna Loa island, Hawaii, provided the first unmistakable evidence that carbon dioxide emissions from human activities were warming the Earth (the famous Keeling’s Curve). As a result of this careful and consistent work, global climate change is now widely accepted as a scientific fact! The results of monitoring are also of fundamental importance for evaluating environmental planning and policy as it is only through such careful observation that we can evaluate the health of our natural resources and make science-based management decisions. Also, the drafting and prioritization of environmental policies is based on the findings of environmental monitoring. Cost-efficiency requires that monitoring programs adapt new methods. Environmental monitoring is becoming increasingly automated. 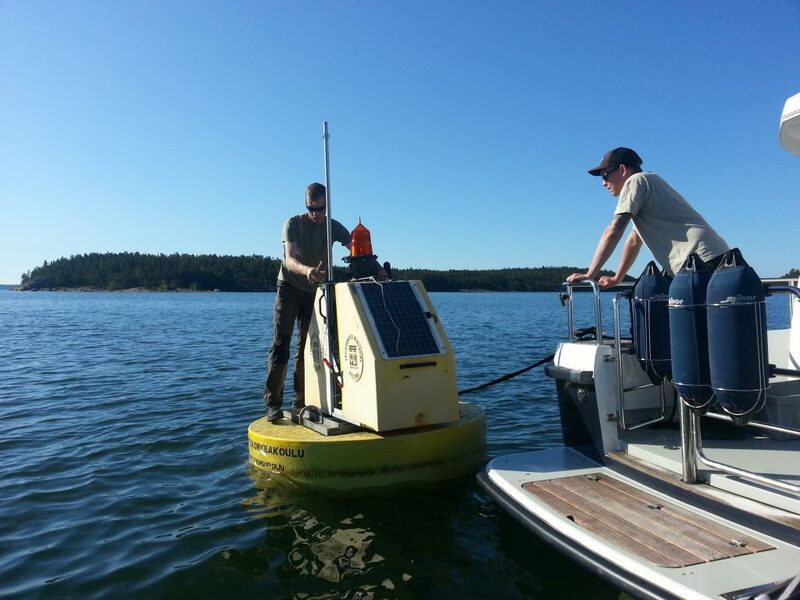 The ODAS buoy of Seili (in the photo) measures seawater parameters from a water column 4 times a day and sends the data automatically to the ARI’s administered Saaristomeri.utu.fi website. In 2015, also a weather station, measuring e.g. air temperature, wind speed and direction was added to the assembly. 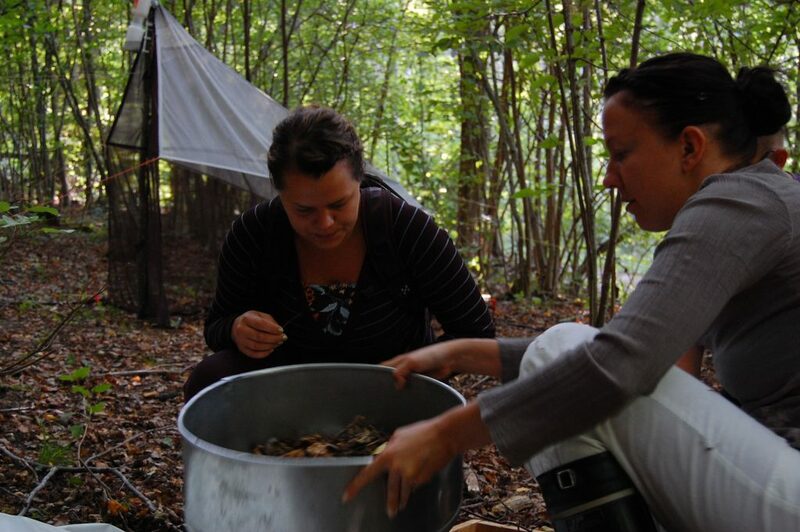 Text: Katja Mäkinen, research technician and PhD researcher, working with long-term environmental data and monitoring.